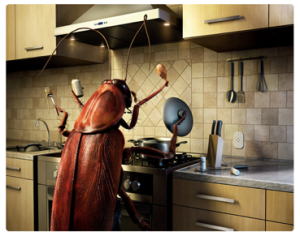 How to get rid of cockroaches in your home in Sydney? Cockroaches are one of the most commonly noted household pest insects and there are many species of cockroaches. They feed on human and pet food, and can leave an offensive odor. They can also passively transport microbes on their body surfaces including those that are potentially dangerous to humans. Cockroaches have been known to be linked with allergic reactions in humans. One of the proteins that trigger allergic reactions has been identified as tropomyosin. These allergens have also been linked to asthma, there for a treatment for cockroaches needs to be eco friendly. Where cockroaches live and there common hiding spots in your home? Vacuum. Early and often is best for reducing harmful cockroach allergens. Thoroughly clean the house at least weekly. Do not leave out pets’ food or food scraps in pet bowls. Don’t stack newspapers, magazines or cardboard boxes anywhere in the house. Clothes and other household articles should not be kept on the floor. Keep compost bins screened and away from the house. Trim bushes near air vents to keep cockroaches from getting into the house. Keep your yard clean and rubbish free and make adequate arrangements for both liquid and solid waste disposal. Act quickly. 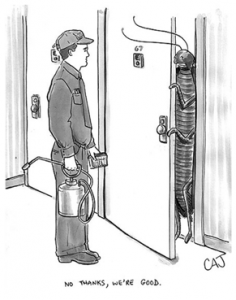 If you find evidence of an infestation, contact a licensed pest professional to inspect and treat the cockroach problem with an organic cockroach control treatment. Once you’ve seen cockroaches in your home or apartment, odds are there are many more out of view and if left unattended for a long period of time may result in getting rid of cockroaches, that more costly for you. 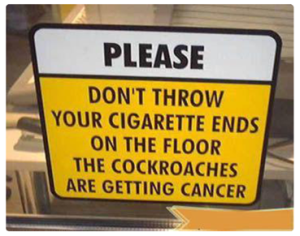 Since Cockroaches can be difficult to eliminate from your home and after implementing the past tips you still have problems just give us a call. 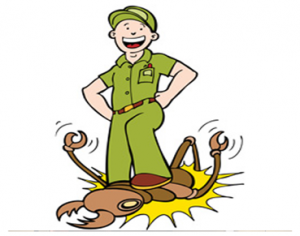 At Easy On Earth Pest Control™ we can offer you our expertise and knowledge of Cockroaches biology to best protect your health and how to get rid of cockroaches in your home with any cockroaches infestations with a roach control programme.